We don’t have any pets, but there is a cat in the neighborhood that thinks it lives at our house. There are two families on the street that have fostered the cat and feed it. The cat actually belonged to a family who lived in the neighborhood. They moved away and the cat went with them. But good ol’Buddy, missed his old stomping grounds and returned to our neighborhood (I have no idea how far the family moved away). The family was notified by neighbors that Buddy was back at his old house, they came and picked him up taking him to his new home. Not long after he ran away to his old neighborhood a second time! This time rather than haul him back to his new home the neighbors offered to pitch in and foster Buddy. We are the only house with small kids on the street and Buddy likes to be around little kids so he has made a cozy little home beneath our bushes. For the past few weeks he has been stalking our doors and looking for the perfect opportunity to come in. When our backs were turned he took his chance and ran in as I was bringing garden supplies in and out and left the door open. He was no longer stalking us outside so I wondered if he snuck in the house, I took a quick look around and didn’t find him so I shut the door, hoping he was outside. An hour or so later we returned inside and there he was curled up sleeping in the family room on our giant bean bag. Rotten Buddy! I hissed him outside and he quickly ran out. Let’s hope he didn’t get to familiar with the inside of our house, cause the only place he will be at home at our place is outside! We are not inside pet people. Actually for now we are not pet people all around. So are you a pet person? 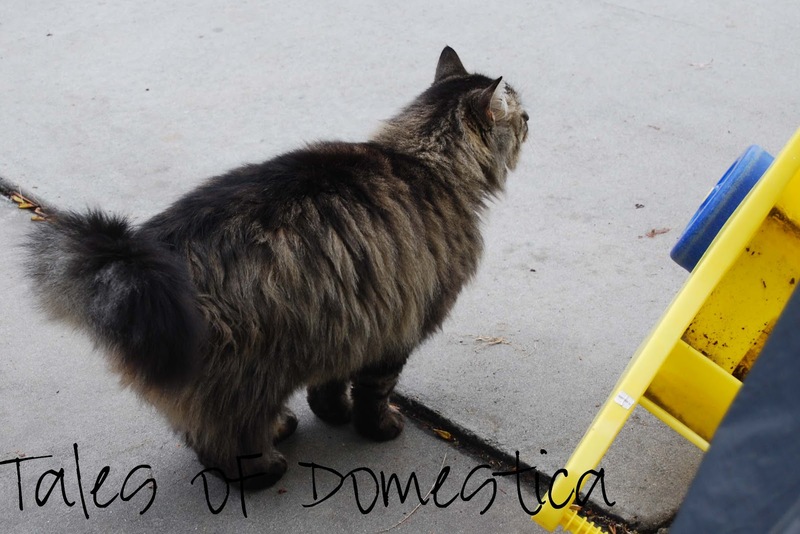 Do you have pet roaming your home?